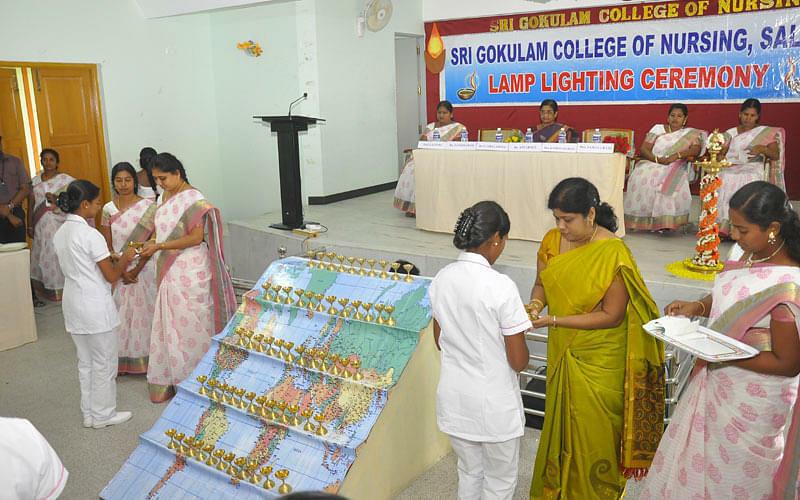 Sri Gokulam College of Nursing was established by the Sri Gokulam Trust, a charity trust to offer a great standard of education and training to every individual. 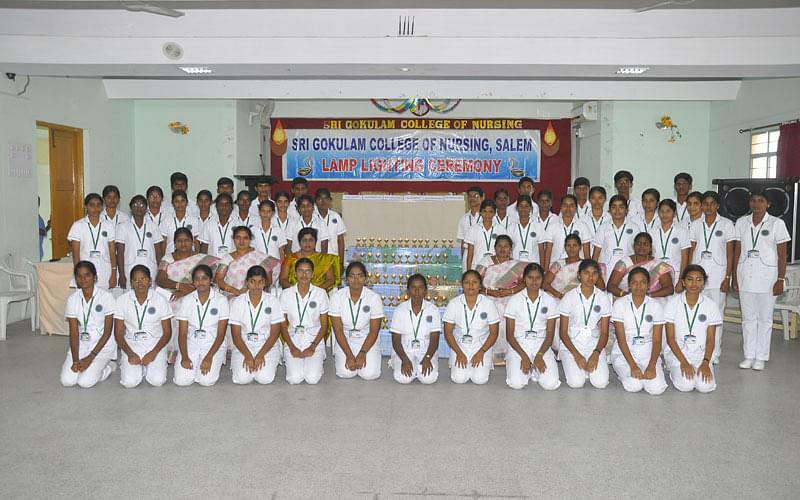 The college is dedicated in producing nurses who can handle and care patients with care. They train every enthusiast student with innovative training sessions in a safe and peaceful environment. The management conducts a regular session of workshops, seminars and various other training segments which allow them to learn few other techniques along with regular academic sessions. Airport: Salem Airport is 18.3 kms far from the college and one can easily gain access in a hired vehicle. Railway Station: Reaching the college from the Salem Railway Station is much easy as it is around 3 kms far from the campus. Bus Stand: Salem Town Bus Terminus is 4.1 kms far from the campus and one can easily reach in the common local transportation. 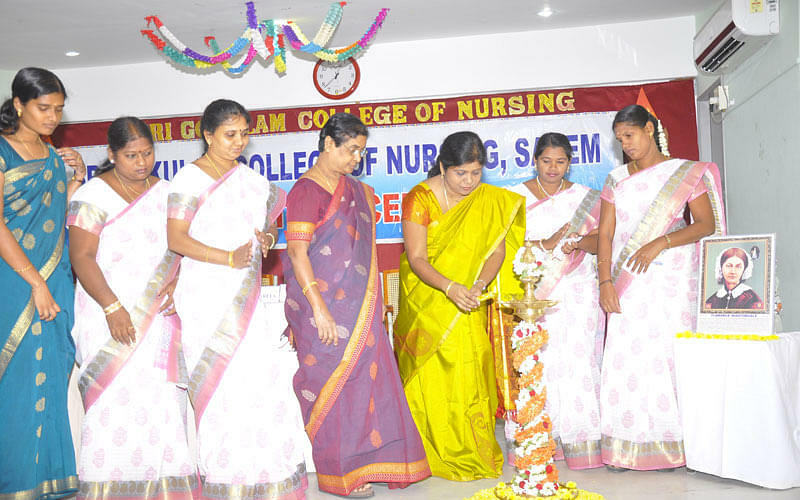 Why to join Sri Gokulam College of Nursing, Salem? Training: The management trains the students to face the challenges of the real world. 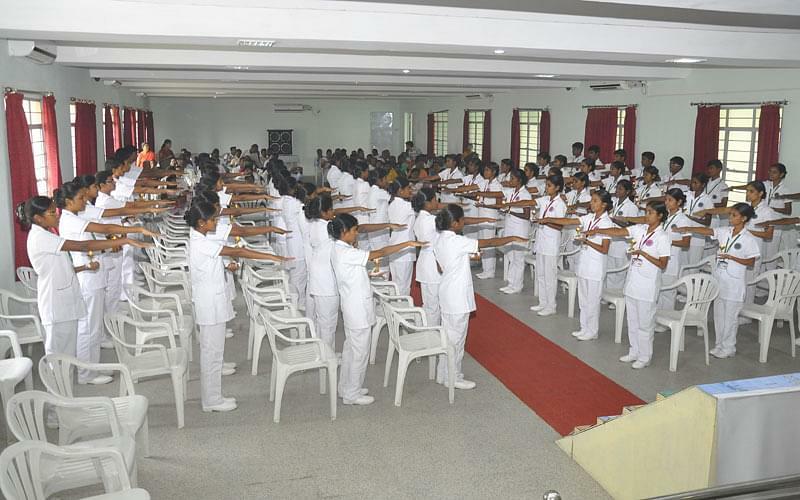 The eminent faculty members offer them immense training which is much essential to treat patients with care. Facilities: The College offers numerous facilities that comforts every student and allows them to complete the course. Starting from a spacious and ventilated class rooms the college till a fully furnished hospital the college provides various amenities. Seminars: The College organizes numerous conference and seminar sessions where students get a chance to learn a few more techniques to handle the challenges of in the nursing community.